The N64 got an exclusive Doom title in 1997, but this wasn't the only game in the lineage that was planned for Nintendo's 64-bit system. The plan was to follow up with Doom Absolution, a 2-player competitive shooter developed to capitalise on the deathmatch craze triggered by Rare's excellent GoldenEye 007. However, according to Unseen 64, the title was canned early in development so that Midway San Diego & id Software could move onto Quake II 64, which was arguably a more commercially viable proposition at the time. Sadly, no screens for Doom Absolution exist today, and it would appear that little work took place before development moved over to Quake 64. 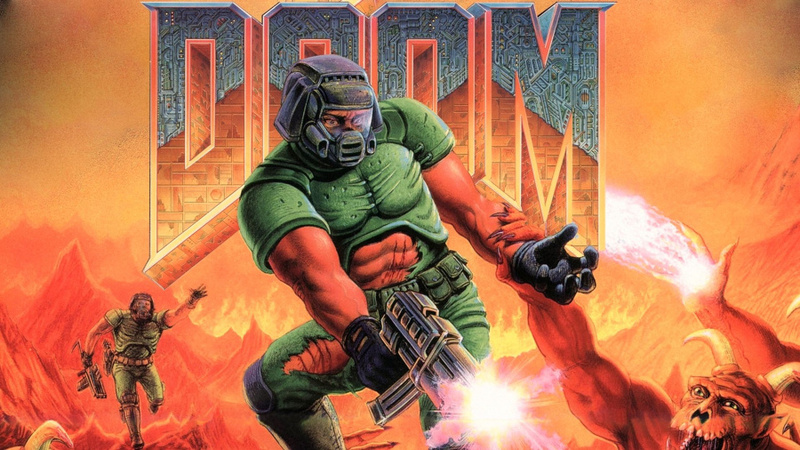 Would you have wanted to play a multiplayer Doom on your N64 back in the '90s, or do you think it made more sense to move onto Quake instead? Let us know by posting a comment. Yep, I would have been all over this one. I think pretty much everyone would have wanted to play a multi-player version of Doom on the N64 back in the day or certainly at least had the option of a multi-player mode in Doom 64, especially with the modified/updated engine and graphics in that particular version of the game. I know I would have been all over that. Not really, i mean if it was only 2-player. I love doom! Back then I would have played this with my cousin, i miss the late night frag fests! While it would have only been 2 player, 2 player Doom > 4 player Goldeneye. If they did 4 player Doom, it would have made the N64 a bigger seller. I just want the full, uncut versions of Doom, Doom II and Final Doom on a Nintendo handheld. The iOS version is tempting, but the game would be unplayable (especially Final Doom) without buttons. And single card multiplayer would be brilliant. @TruenoGT Appropriately enough, Doom 64's PC total conversion is called "Doom 64: Absolution". It's such a great TC too, I played through it many times. I would recommend it to anyone who want's to see what Doom 64 was like but prefers higher resolution and PC input controls. Doom 64 needs to be on the VC. @SetupDisk amen to that brother. Eh, my froends and I were playing the splitscreen multiplayer in Turok 2 at that time, and moved over to Perfect Dark when that came out. Between those games, Diddy Kong Racing and Super Smash Bros., the N64 really was a multiplayer powerhouse. I would be happy to see any 3rd party VC games. Well, almost any. Man I always wish Doom 64 would have a death match mode, me and friend bought that game hoping there's one but sadly not. At least the game still rocks today. At least they had deathmatch in quake 64. The better game in my opinion. That time was all about 3dfx for me. (Still think FPS should be played on a PC). Never liked split screen. Still have the cart. Fired it up last year. That have sold have won an award for sound design, it was really good. The crying babies are just sick and add greatly to the atmosphere... OK I need to hook up the 64 again. Really liked Doom II on PC at the time. Was an ace in beating opponents in deathmatches over 14400 modem. Back then consoles were for local co-op and single player games for me. Most of my Doom deathmatches were over a parallel cable between two computer/laptops where someone couldn't watch the screen. That also allowed mods and custom maps which were much more entertaining than the regular game. It wasn't long after that I had moved to online matches with Gamespy and other matchmaking services. Doom 64 was my first N64 purchase, and one of my favourite FPS games ever. I'm not sure a multiplayer mode would have been that great(especially with only two players) however I would have preferred it be included than not, assuming the overall game didn't suffer as a result! But for deathmatch it really needs more than two players. Never had LAN when I was using DOS. Does anyone still play the "Doom" games multi-player? I never had a chance to as I was born in '96m well after those games came out. I would love Doom/II/Final on 3DS with map on the lower screen. Too bad this will never officially happen ... I have a DSi XL with zDoom and it does the same thing but would pay for an official version. I would buy Doom 64 on Wii or Wii U VC. @TruenoGT "Trilogy", I own Quake 4 on PC. dammit! i wanted a doom 64 2!! Doom 64 was the very first game I ever played. This breaks my heart. @Ruthven : I've also played an emulated version of Doom on DS Lite (which worked quite well), but I too would prefer an official version with all of the bells of whistles. "The plan was to follow up with Doom Absolution, a 2-player competitive shooter developed to capitalise on the deathmatch craze triggered by Rare's excellent GoldenEye 007." How is a 2 player competitive shooter going to compete with a 4 player competitive shooter? Sounds like one step forward and two steps back to me, I'm glad this was dropped in favor of Quake 2 64, which if i recall DOES have 4 player competitive gameplay. Also, Doom 64 would have been a better game in my opinion if you could actually see anything. I get that it's supposed to be dark, but it was unplayable for me since my TV could only adjust so much before all I saw was a white screen with random black lines making out the gun. @AshFoxX Agreed, Quake 64 was very strong. The DM was great fun, and included a level cut from the PC version (DM7 - Agoraphobia) which is one of the best. The additional coloured lighting was a really welcome addition. This game is launching the best treasure of the gaming zone with the multiplayer teams can be make now. If we are playing games with the teams then also on the professional assignment writing service festival we need to join this with the teams too.